Faster file sharing: Storage Tiering accelerates file sharing and transfers automatically using a heat mapping algorithm. Optimized storage: Assign selected files to specific storage tiers—boot disks in Virtual Desktop Infrastructure, applications on solid state drives (SSDs), for example—for snappy performance across your network. Faster images and rebuilds: CHKDSK times are significantly reduced, while adding the ability to perform parallel rebuilds to address disk failures in RAID arrays. Enhanced BYOD security: Features like Web Application Proxy and Workplace Join simplify access to internal resources, allowing users to register personal devices with Active Directory using a single sign-on profile. As you can see, there are advantageous features here for businesses of all sizes. The same goes for server hardware. Last week we checked out Dell PowerEdge hardware. Now here is a look at what HP ProLiant servers offer users planning a Windows Server 2012 migration. Ideal Use: File sharing and data backup solution for a home office or small business. HP ProLiant MicroServers allow business users to centrally manage data and grant secure access from anywhere with an Internet connection. If virtual private network (VPN) is something you use or plan to use, this is a cost-effective choice for 25 or fewer users. 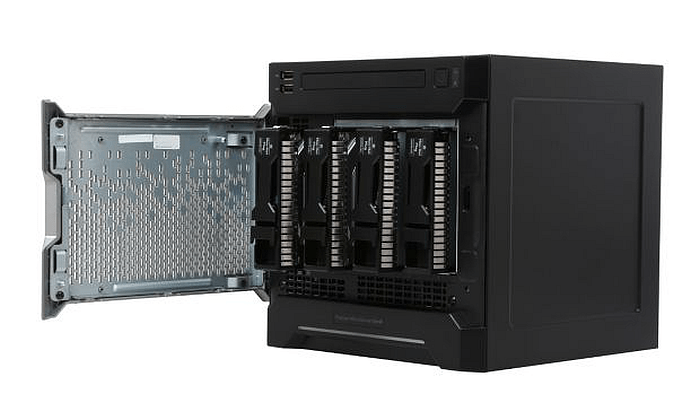 HP ProLiant MicroServers feature four hard disk drive (HDD) bays, which means you have several options for RAID configuration. Its 2.5 GHz Intel CPU is bit lightweight for virtualization, but NeweggBusiness users are reporting successful deployments in small production or lab environments, and good compatibility with the VMWare ESXi operating system. Ideal Use: Built for scalability and serviceability in mind, the ProLiant ML family is designed to be easily upgraded as a business grows. It can stand alone or fit in a rack. Should you need more computing power, it is relatively simple for IT to switch out the CPU. Everything is hot-swappable from the hard drives to the fans. See the product page for a video demonstration. You will notice dramatic changes in price range for this class, and it all depends on the hardware inside. For an affordable multi-purpose application server, check out the HP ProLiant ML310e. Its 3.6 GHz processor suffices to take advantage of Windows Server 2012 virtualization features. It retails in the $700 range. 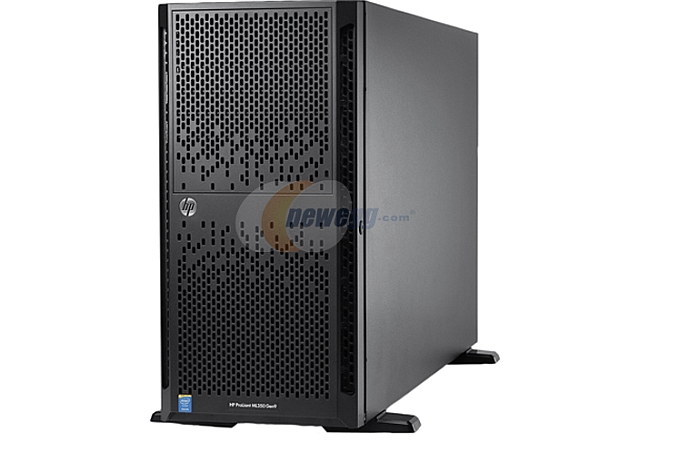 Companies with larger storage and backup needs should check out the HP ProLiant ML350 (8 GB RAM and 6-core 1.90 GHz CPU) that has a maximum internal storage of 48 TB. That goes a long way with Windows Server 2012 optimized storage features. This model retails in the $1,700 range. Ideal Use: Rack servers provide maximum power and efficiency. Pack the most compute into the smallest form factor possible to save rack space—and monthly co-location rent. HP cites three times the computing power per Watt compared to the previous generation. These are designed to work with other servers in a network. Since servers do not share proprietary components, it is okay to mix and match. Like the ML family, DL servers are priced depending on the CPU they use. For a cost-effective single application server, the DL 320e is a solid option with a 3.4 GHz 4-core processor and 8 GB of RAM. It retails for under $1,000. The next level up (at a retail price of $1,900) is the DL 120, which adds more robust disk space by way of four LDD drive bays and a powerful 3.5 GHz processor that is well-suited for virtualized environments. The DL 120 is a good combination of data storage and performance, a versatile piece of server hardware. If you are looking for an affordable server to handle growing storage and backup needs, check out the DL 180 Gen9 which holds up to 72 TB of data. It supports a capable Intel Xeon 3 GHz CPU which helps move large data files across the network in a snappy manner. This list does not exhaust the full spectrum of the HP ProLiant series. For full specifications and extensive details on HP ProLiant servers, view the accompanying PDF. New hardware is part of Windows Server 2012 migration. What can HP ProLiant offer users looking to take advantage of virtualization and storage features?